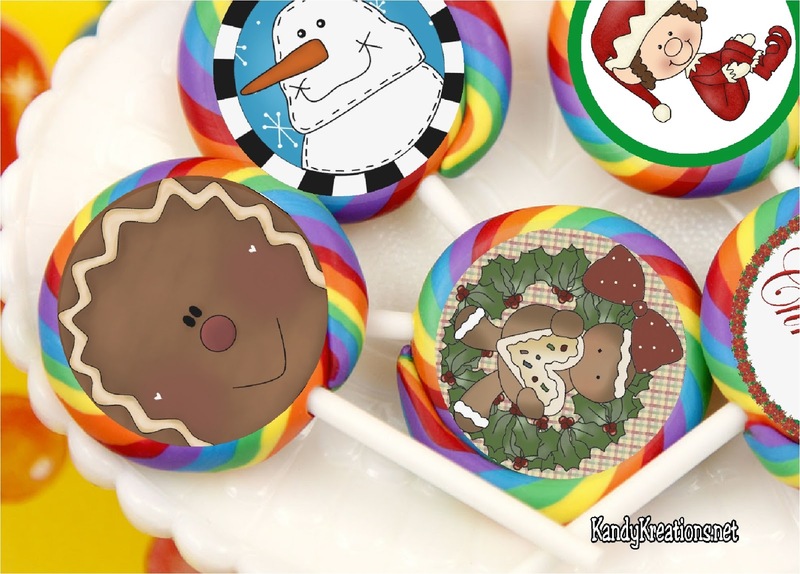 Decorate the candy in your Christmas stocking with these printable stickers. 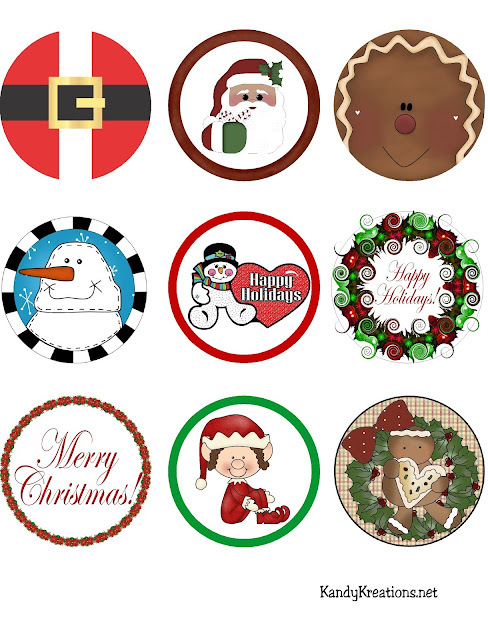 With snowman, elves, and gingerbread these stickers will bring a smile to everyone on your Christmas list. Christmas is right around the corner and it's last minute crunch time. Have you got all your shopping done? Your wrapping? All your stocking stuffers? I actually finished my shopping early this year, but I always seem to be looking for little things that I can add to stockings. Especially if those things are candy. It's been a while since I had whirly pops in the house. When my computer crashed and I lost everything last year, I stopped doing the party suckers in the store. 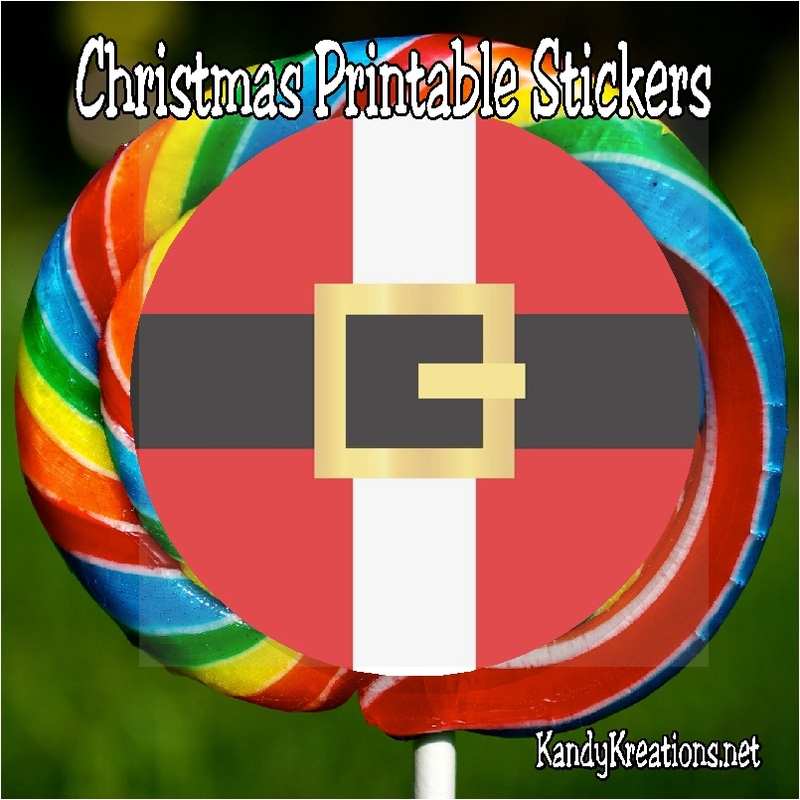 But being home with my family and their candy store, I started playing again, and made these Christmas stickers for the 3 inch whirlypop suckers. If you have some suckers in your local candy store, or if you want to quickly order some from Amazon, go ahead and save this jpg picture file. Then you can use a 2 1/2 inch circle punch to cut out and then some glue or sticker paper to secure them to candy suckers or as gift tags for Christmas presents.